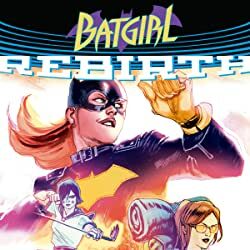 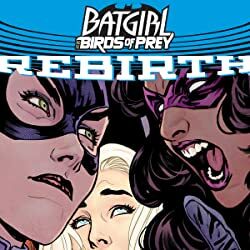 The conclusion of Amanda Conner and Jimmy Palmiotti's epic run on HARLEY QUINN REBIRTH is collected here in hardcover for the first time in HARLEY QUINN: THE REBIRTH DELUXE EDITION BOOK 3! 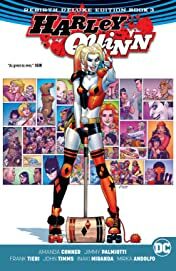 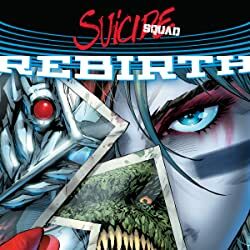 Harley's entire cast of crazy characters comes together to celebrate the birthday of cyborg senior citizen Sy Borgman...but is there actually a bigger secret behind this gathering? 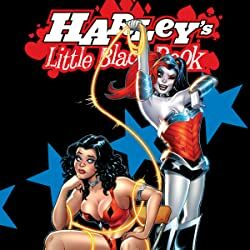 And in "Harley Loves Joker" part nine, Harley's spent a fortune building out the Joker Gang's new hideout, and now they're gonna have to take drastic measures to pay the bill! 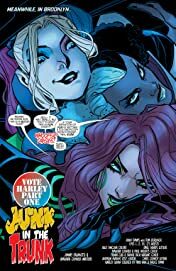 The genius creative team of Jimmy Palmiotti and Amanda Conner spearhead Harley's return in the wake of DC Universe Rebirth, featuring art from Chad Hardin and John Timms. This new hardcover edition features a backup story set, co-written by Harley Quinn's creator, Paul Dini!